Barbecue is a Southern staple because it's a great way to transform a relatively inexpensive cut of meat into a delicious meal that can serve a whole lot of people. What’s better than that? Mississippi barbecue is usually topped with a sweet, mild sauce, and it's best enjoyed with a cold beverage and a big crowd. 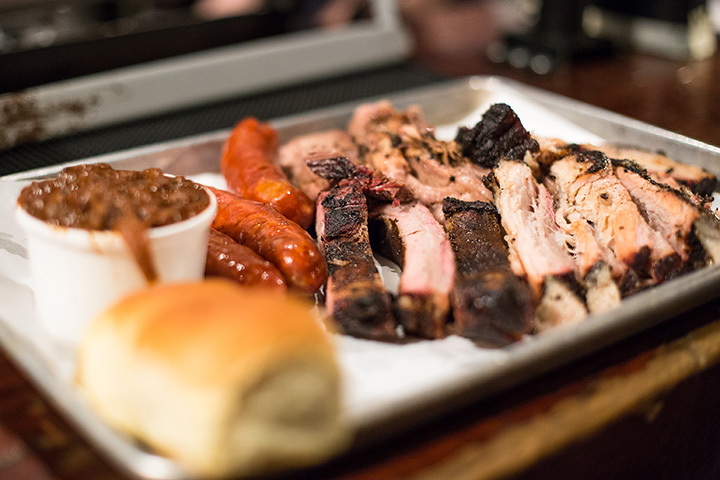 Here are the 10 best barbecue joints in the state. You may not stumble across Sonny's Smokehouse accidentally, as it’s a true hidden gem, but this barbecue joint in Ackerman is worth seeking out. Located just southwest of Starkville, Sonny's is known for having generous portions, tender ribs, and an amazing brisket baked potato. Be sure to bring cash! When a restaurant is opened by "The Winningest Woman in Barbecue,” it's going to turn a few heads, and Memphis Barbecue Company has been doing just that. Since opening in 2011, Melissa Cookston's restaurant in Horn Lake has continued to draw crowds of hungry barbecue lovers with her award-winning smoked and grilled meats. They've even expanded to three restaurants! The Shed is a cheerful spot located on the bayou in Ocean Springs. It's literally built out of scraps of junk that's lit by strings of lightbulbs, and there's a stage where you can hear live blues on the weekend. But a cool atmosphere won't bring the crowds back—The Shed's ribs are famous throughout the region! Leatha's Bar-B-Que Inn was started in 1975 by Ms. Leatha Jackson because she wanted to share her love of old-fashioned barbecue with the community. Her legacy is still apparent, and the incredible food at Leatha's attracts everyone from local friends and family to celebrities (or both, in the case of longtime fan Brett Favre). Abe's BAR-B-Q is the oldest barbecue restaurant in the state. They've been serving up their famous barbecue since 1924, although back then it was called Bungalow-Inn and was housed across town. It was renamed Abe's in 1960 to honor the founder, Abraham "Abe" Davis, and it's still one of the best places in the state to get a pulled pork sandwich. The Little Dooey was started when owners Barry and Margaret Ann Wood saw how popular their barbecue sandwiches were after selling them at a local service station. Named for a family nickname for a get-together, The Little Dooey has been a success ever since it opened. Enjoy the barbecue, but don't miss the fried green tomatoes! Bully's is an old-fashioned barbecue and soul food restaurant in an out-of-the-way area of Jackson. It's the kind of place where you can go in and order neck bones and oxtails, ribs, or a daily special (Fridays are meatloaf, of course!) and never be disappointed. It might not be the most cutting-edge, but this place has plenty of charm and big flavor. Bar-B-Q By Jim is a cozy barbecue joint where the regulars all know each other and the wood-panelled walls are decorated with nostalgic musical memorabilia and mounted deer heads. The restaurant is owned by Mr. Jim Beane, whose skill at grilling and smoking meats is legendary throughout the Tupelo area. One stop here and you'll know why it's a North Mississippi favorite! BBQ in Lucedale is another restaurant you're not likely to stumble across accidentally, but if you're in this neck of the Piney Woods, it's definitely worth a stop. The barbecue at Bluesville is based on tried-and-true recipes, and the restaurant has earned its place as a stop on the Mississippi BBQ Trail. Believe it or not, some of the best barbecue in the state can be found inside a gas station in Flowood. Triple A's BBQ is run by Chris Haley, who brings a gourmet flair to Southern barbecue. The brisket is tender, the sides are packed with delicious, and with six different sauces (including a homemade blue cheese barbecue sauce), you can customize your meal however you like.